When I visited New York City a few weeks ago, I knew that I was going to do a lot of walking, so I wore my most comfortable shoes, a pair of suede loafers. When planning what to wear, I didn’t think about the fact that New York City had snow on the ground, and that my loafers would gain a few stains that day. 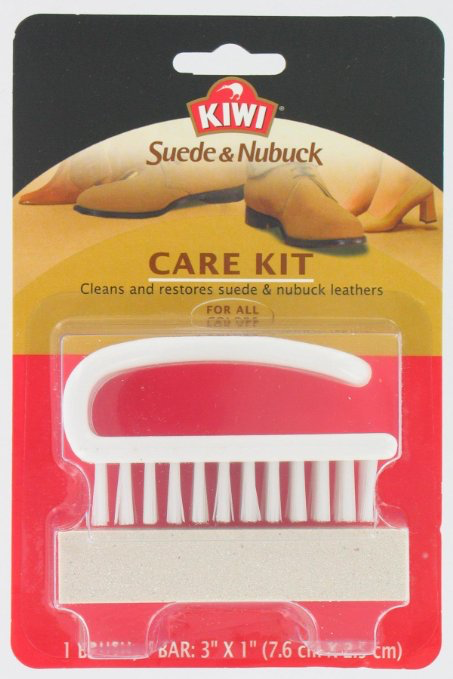 Because they’re one of my favorite pairs of shoes, I wanted to make them look good again, so I pulled out the Kiwi Suede and Nubuck Care Kit purchased a week before. First I used the “eraser” to remove the stains and then the brush to clean up the nap. The effort paid off, and they look almost new. I was so excited with the results that I cleaned up all of my suede shoes that afternoon.